Step away from the comparisons .. There are days when I “rightly” give myself a pat on the back for a job well done. The reason changes depending on the given day, perhaps I’ve just managed to run 3 kilometres albiet slowly whilst gasping for air without stopping or it could be as simple as going an entire day without eating sweets (which doesn’t happen often so that deserves a high five on the rare occasion that I accomplish it). So it goes without saying that if I don’t like other people talking down to me, why on earth should it be ok to talk to myself the same way? Well in my completely unscientific opinion, it’s not. 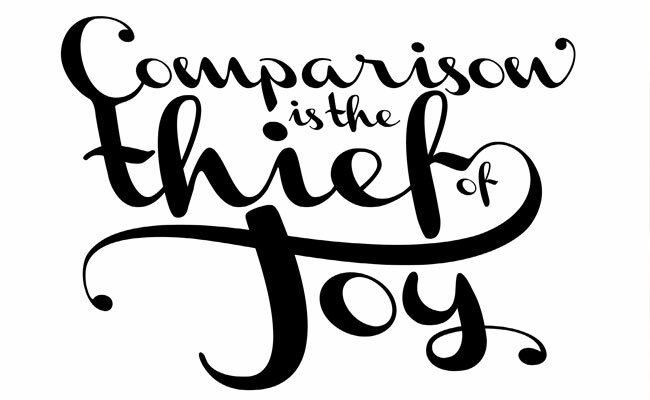 Which is why you should NEVER, EVER compare yourself to others – honestly people just don’t do it. There was that REALLY old guy with a walking stick who lapped you. You may as well have just walked since it took you so long. Why should other peoples prowess at running suddenly diminish the feelings I had about my accomplishment? Previous story What would make your list?